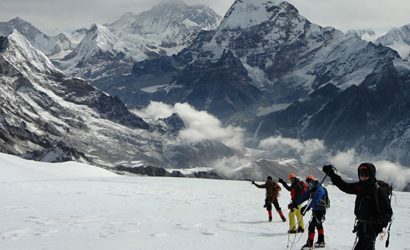 Nepal is the land of world’s highest mountains, wonderful natural sceneries, and ancient culture and history which makes the country an ideal destination for luxury travelers. For those who want to spent little more budget on high quality service on accommodation and transport, our luxury tour package is not only an opportunity to experience Nepal but also feel travel comfort. 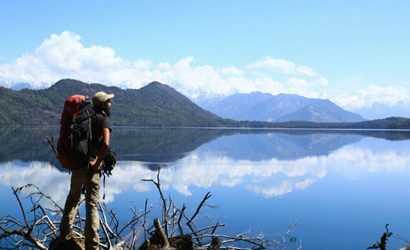 The 9 days Nepal Luxury Tour package takes you to some of the prominent places of the three major tourist centers of Nepal: Kathmandu, Chitwan, and Pokhara. 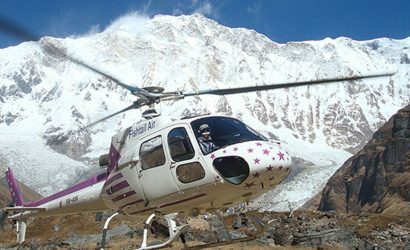 No luxury trip in Nepal is complete without seeing the mountains closely, so Nepal Luxury Tour Package starts with an extravagant mountain flight over the high Himalayas, including the world’s highest peak- Everest (8848m). The tour then takes you to the UNESCO listed world heritage sites in Kathmandu, where you can explore the ancient history and culture of the age-old valley. A visit to Pashupatinath temple, Boudhanath stupa, and Kathmandu Durbar Square will give you glimpses of the various culture of Kathmandu Valley. Afterward, as you visit the first national park of Nepal, Chitwan National Park, you come in contact with the diverse flora and fauna that Nepal has to flaunt. Fun activities like jungle safari, elephant bathing, bird watching, and canoeing keep you busy in Chitwan. Similarly, the cultural Tharu dance and the walk to their colorful village allow you to get acquainted with their simple lifestyle. 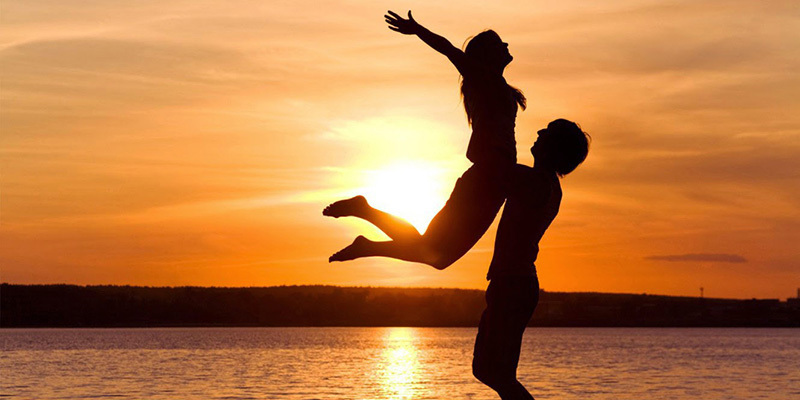 The last destination of the trip, Pokhara, serves as one of the most popular tourist destinations, and for newlywed, the place resonates romance in its air. 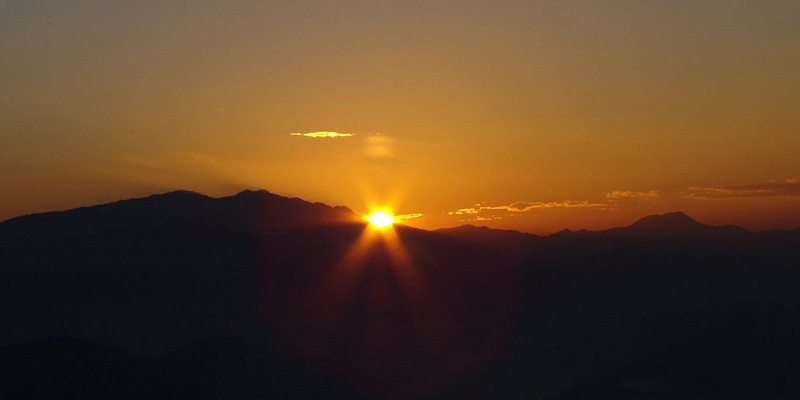 The breathtaking sunrise view over the snow-capped mountains seen from the top of Sarangkot fill your heart with calmness, but if you’re feeling adventurous, you can partake in adventure sports like paragliding, bungee jumping, and zip lining. Further on, boating on the Phewa Lake under the shadow of Machhapuchhre (6997m) and a visit to some of the noted places of Pokhara like Davis Falls and World Peace Stupa. On the final day you will fly to Kathmandu and at the end of your trip walk around Thamel street for the last minute shopping in the vibrant shops in Thamel. Day 01 : Arrive at Tribhuwan International Airport (TIA) Kathmandu and than transfer to hotel. After your arrival at Tribhuvan International Airport, Kathmandu, our airport representative will pick you up and transfer you to the hotel. Overnight at the hotel. Today you take an early morning mountain flight which gives you a supreme aerial view of the Himalayas, enchanting you with the range of the highest peaks in the world including Mt Everest (8848m). 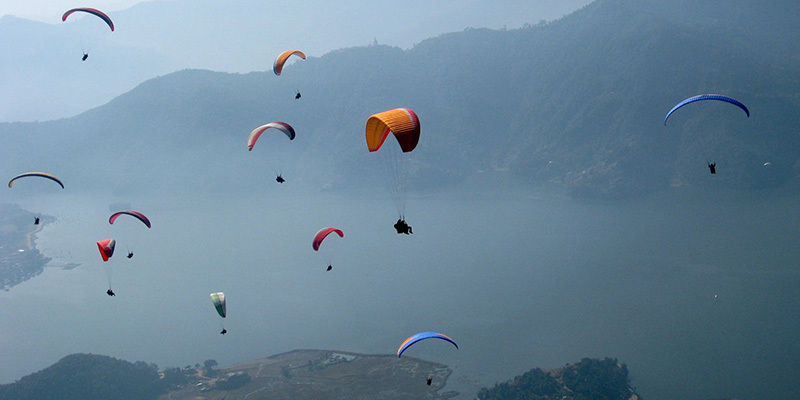 After the mountain flight, you head on to a guided tour to four of the seven UNESCO world heritage sites in Kathmandu. You start with visiting Pashupatinath temple, which is a sacred temple of Hindu devotee. Then you will visit the Buddhist shrine of Boudhanath, one of the largest stupas in Asia. Later on, you will visit the famous Kathmandu Durbar Square and explore its many temples and monuments. Enjoy the ambiance of the ancient palace square before driving back to the hotel. Overnight at the hotel in Kathmandu. Day 03: Morning flight to Chitwan. After breakfast we will transfer you to fly to Chitwan. It is just 15 minutes flight. Pick up from airport and transfer to our hotel in Chitwan. 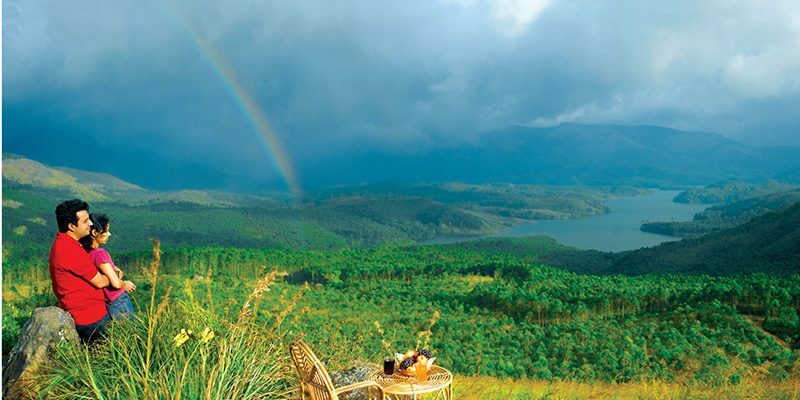 After reaching the hotel and getting refreshed, you will go for a guided village tour and walk on the banks of Rapti River to watch the pleasant sunset view against the sub-tropical jungle. In the evening, you will meet the local people of this place known as Tharu. They will organize dinner with the cultural program for you. This is the best chance to know about their culture and tradition. Also, they perform so well that it can make you get up and dance with them. Overnight in Chitwan. Day 04: Full day tour in Chitwan National park. The Chitwan National Park has been acknowledged by the UNESCO as a world heritage site. After visiting here, anyone will learn why the National Park holds a significant place in conserving the wild lives that are speedily getting vanished from this planet. The park is home to rhinoceros, tigers, leopards, wild bison, and Gharial. Numerous activities can be done here, such as jungle safari, nature walk, bird watching, elephant bathing, and canoe ride. You will have the best time with nature and wildlife here in Chitwan. Overnight in Chitwan. After 15 minutes flight from Chitwan to Pokhara, we pick you up at the airport and then drive 45 minutes to Kande for a small but beautiful hike to Australian Camp. 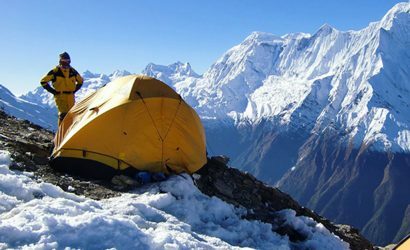 The Australian Camp (1890meters) is one of the most popular beautiful Mountain hill close to Pokhara. 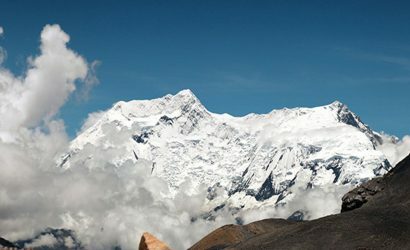 It is very easy small day hike, so attractive for its sunrise and sunset, offer gorgeous views over the valleys and stunning views of the Annapurna Himalayas range. This trip can be done all year round and is also very suitable for people without any hiking experience and people of all ages. Day 06 : Australian Camp - Pokhara. You drive back to Pokhara after the amazing sunrise. On the way we stop at Tibetan refugee camp. heck in at hotel and later begin tour around Phewa lake with boating reaching the temple called Tal Barahi situated on an island in the middle of Phewa Lake. The reflection of Machhapuchhre (6997m) on the surface of the lake makes the sight even more ravishing. Later, explore the mysterious Davis Falls. Overnight in Pokhara. 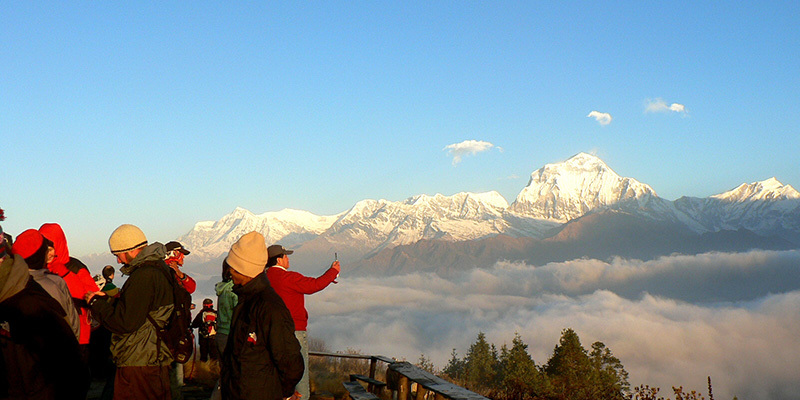 Pokhara valley is also called Himalayan Shangri-La from where you can see mountains like Mt. Mt. Machhapuchhre (6997m) and the Annapurna Range. The most interesting part of Pokhara is boating in Phewa Lake and World Peace Pagoda. 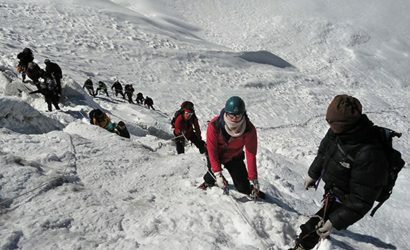 Adventurous activities like boating, hiking, paragliding, helicopter tour to Annapurna Base Camp, and bungee jump can be done. Also, can enjoy cycling around the Phewa lake of Pokhara. Overnight in Pokhara. Day 08 : Fly to Kathmandu. Morning flight to Kathmandu, visit Bhaktapur Durbar Squire, Patan Durbar Squire and then hotel check-in. In the evening join for Nepalese dinner with cultural Dance. Overnight at Hotel. Today, we will transfer you to the international airport for your scheduled departure to your next destination. Airport / hotel / airport transfer by private car / van as per above itinerary. An English speaking tour guide for your whole trip. All tour activities as per above program. All surface transportation for your whole trip in Nepal.